The first eleven pieces (out of 66 total) in white gold of this technical marvel make their debut. Take two of the best Greubel Forsey wristwatches, merge them into one and you have the latest creation, the GMT Quadruple Tourbillon. 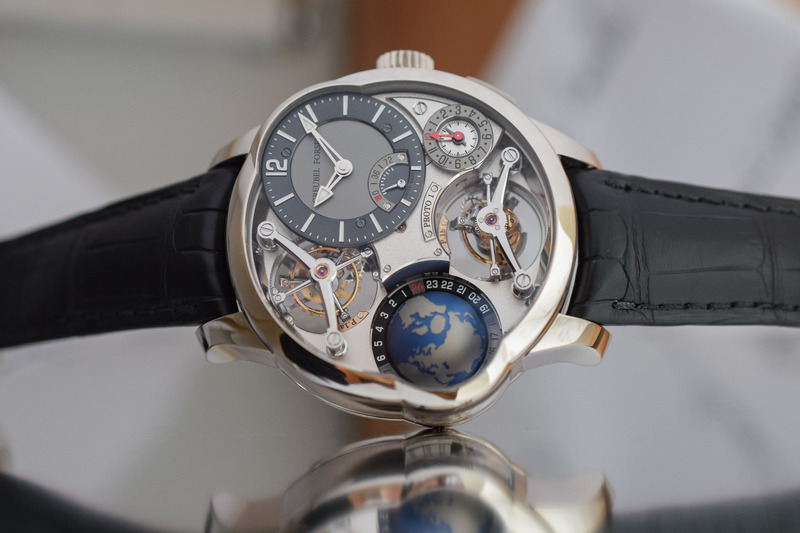 As is customary when discussing Greubel Forsey watches, we are looking at a very different level of watchmaking that is simply second to none. 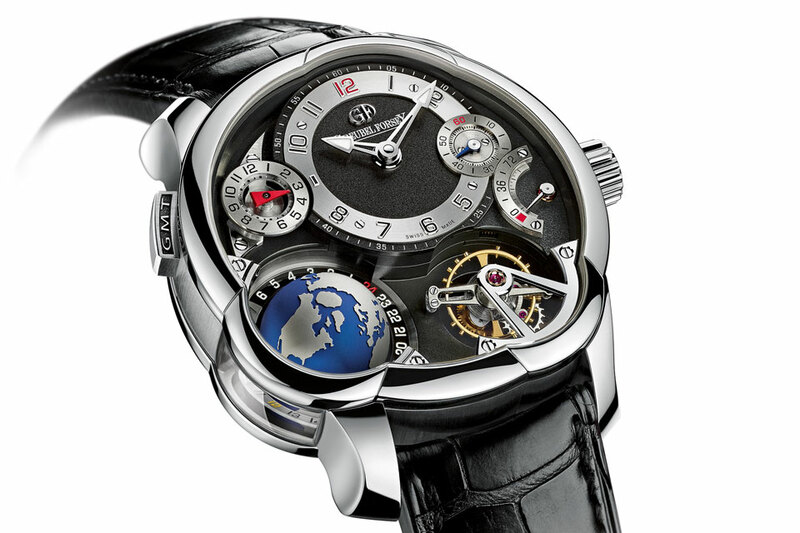 The stellar finishing of the Greubel Forsey GMT Quadruple Tourbillon is on par with other Greubel Forsey timepieces. This GMT Quadruple Tourbillon is a limited edition of 66 pieces in total, and is launched in an 11-piece limited edition in white gold and comes at a ‘stellar’ price of CHF 780,000. 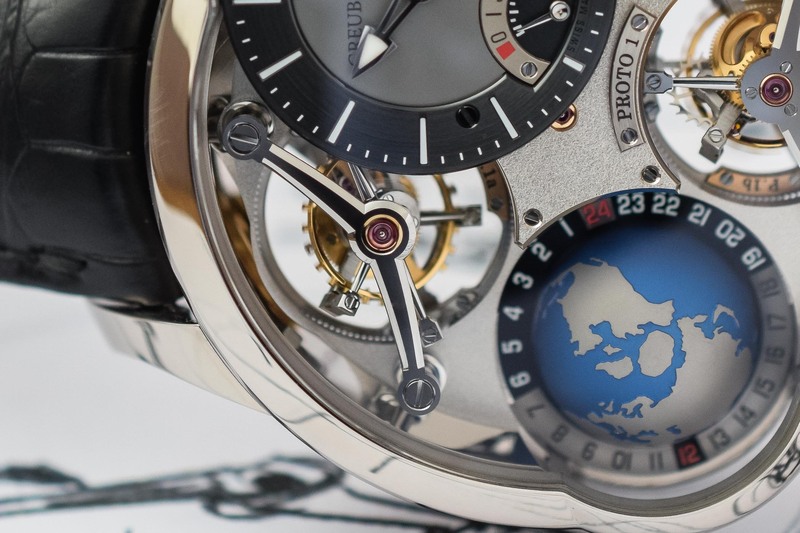 You could say this is the greatest hit of the 15-year old ultra high-end watch brand, located in La Chaux-de-Fonds, Switzerland. 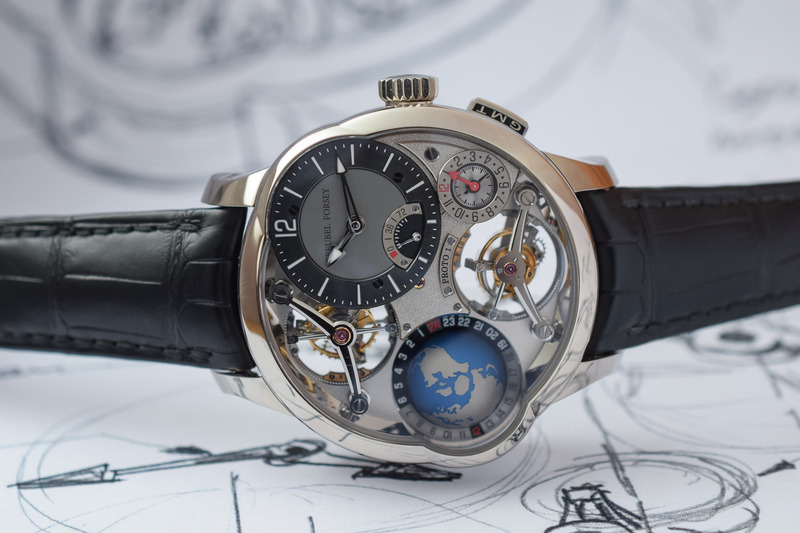 Since day one, Robert Greubel and Stephen Forsey have set the bar extremely high. So in terms of technicalities and finishing, they are in a league of their own. It’s so good, so impressive that we have to realize that this comes at a price. When watchmakers found out that a normal balance and hairspring is affected by gravity, A. L. Breguet decided to tackle the problem and invented the tourbillon: a regulating organ placed in a rotating ‘cage’ that turned on its own axis, usually in one minute. This eliminates gravitational errors, as gravity pulls on the fragile hairspring, and therefore it does not ‘breathe’ in a perfectly concentric manner. This idea works perfectly for a pocket watch or any other clock that is static in one position where gravitational forces are working in the same direction. But for a wristwatch, that is worn on a wrist and constantly changing position – except during the night on a nightstand – the gravitational forces always come from a different angle. 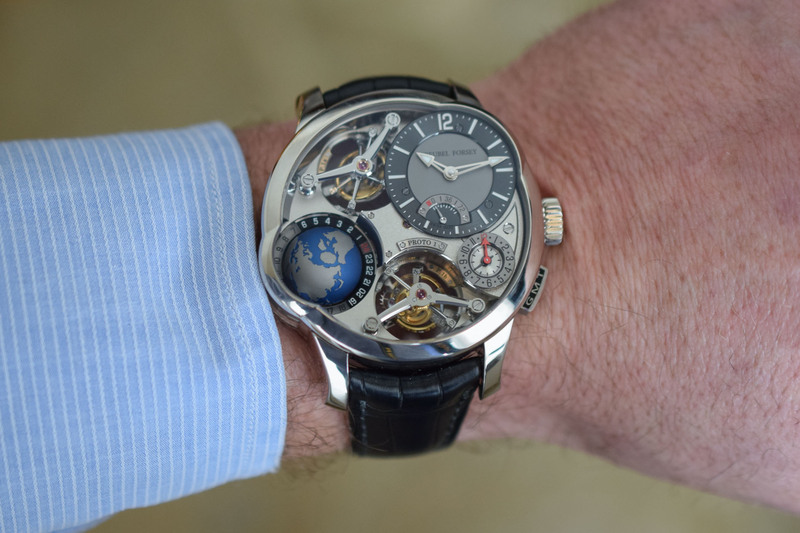 Hence, a normal tourbillon does not really have an effect in a wristwatch, except that it’s very nice to look at. 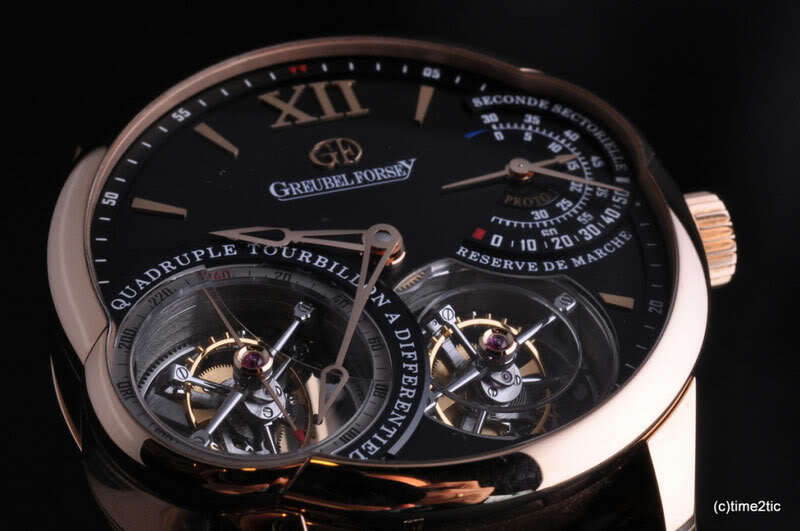 If one tourbillon can eliminate gravitational error on a static watch, on a wristwatch it would make sense to have a few more tourbillons, especially when they are in different inclinations so they can eliminate the gravitational error better. 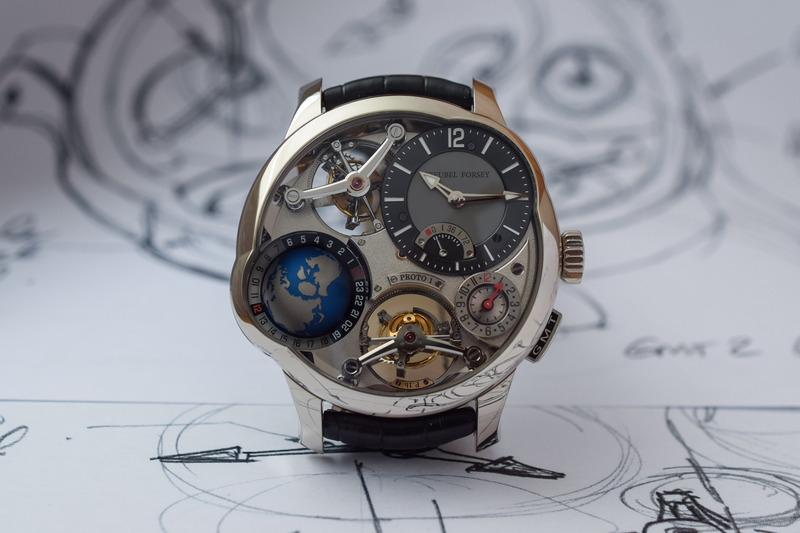 That was the idea for the Quadruple Tourbillon. Robert Greubel and Stephen Forsey created the Quadruple Tourbillon based on a previous invention of theirs, the Double Tourbillon 30°. Here they fitted a first cage rotating in one minute inside a second cage that rotates in four minutes. Two similar double tourbillons are connected through a spherical differential. 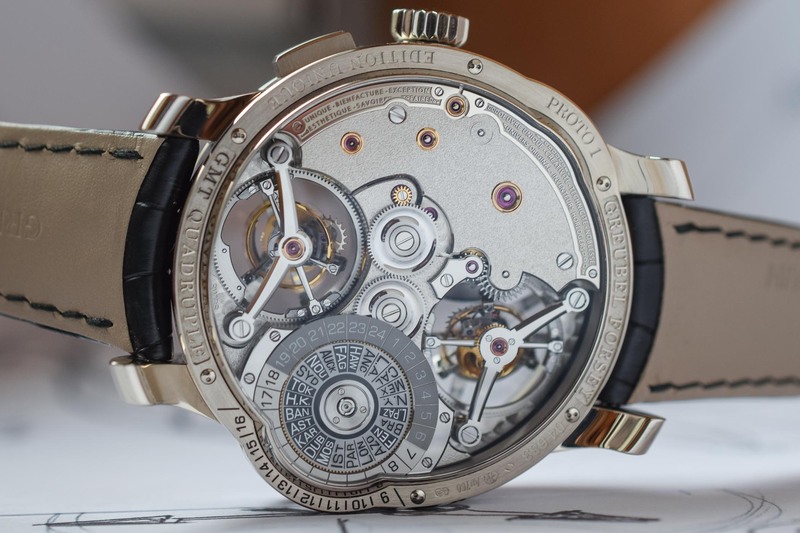 This will average out the two oscillators, each inside a double tourbillon, and thus improve chronometric performance. Add to all this beauty a GMT function and you have the GMT Quadruple Tourbillon. Now, this isn’t a simple GMT with a second 24-hour to indicate time in a second time zone. The second time zone is indicated by an hour and minute hand in a small sub-dial, placed below the local time that is indicated on the main dial. 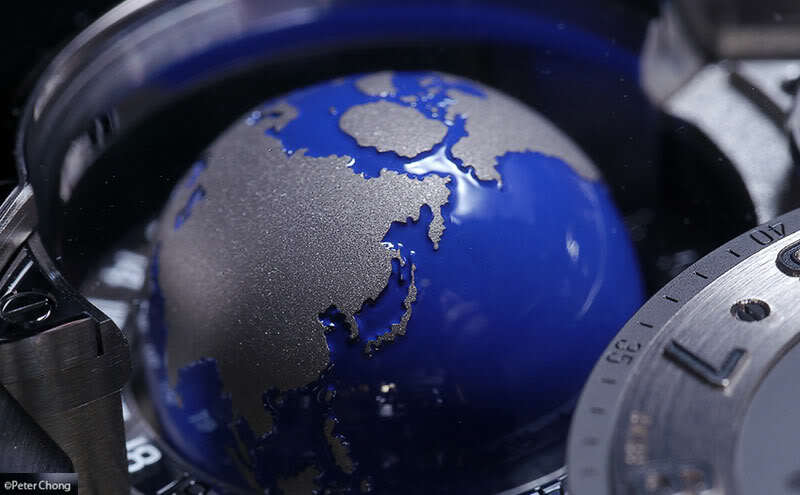 The second time zone is paired to a universal time display that is placed on the backside of the watch and a rotating globe that’s visible from the front. This spherical globe rotates once every 24 hours, just like the Earth. 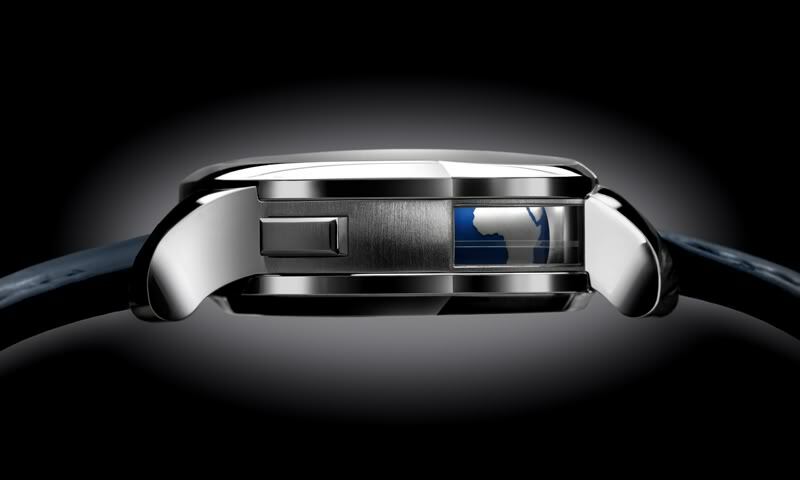 The second time zone can be adjusted via a GMT button in the case band. On the wrist, the GMT Quadruple Tourbillon is certainly not the smallest or lightest watch and the ‘wrist presence’ is overwhelming. Same goes for the finishing; the main plate is in nickel silver (also called German silver) that is partially frosted and spotted, with polished bevelling and countersinks, straight-grained flanks, and a final nickel-palladium treatment. The bridges are also in nickel silver, frosted and spotted, polished bevelling and countersinks, straight-grained flanks, nickel-palladium treatment. 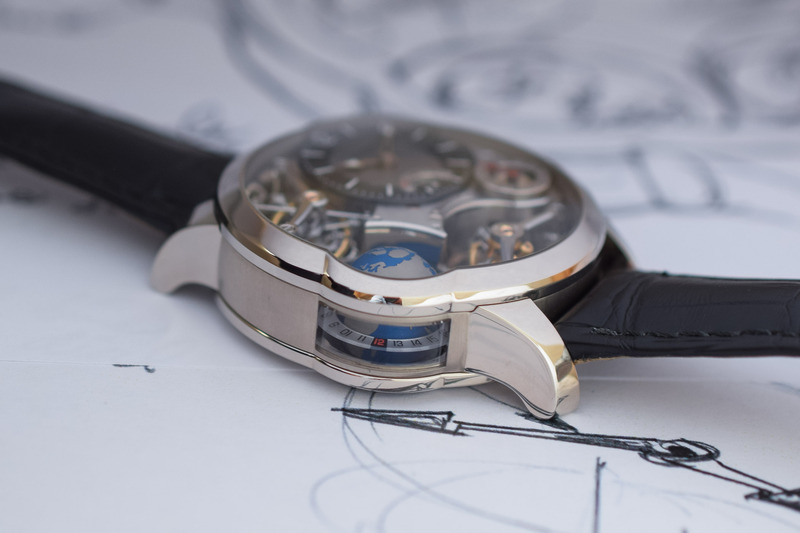 The tourbillon bridges, four of them, are in black polished steel, which is hand-polished and of course, these also come with bevelling and countersinks, straight-grained flanks. 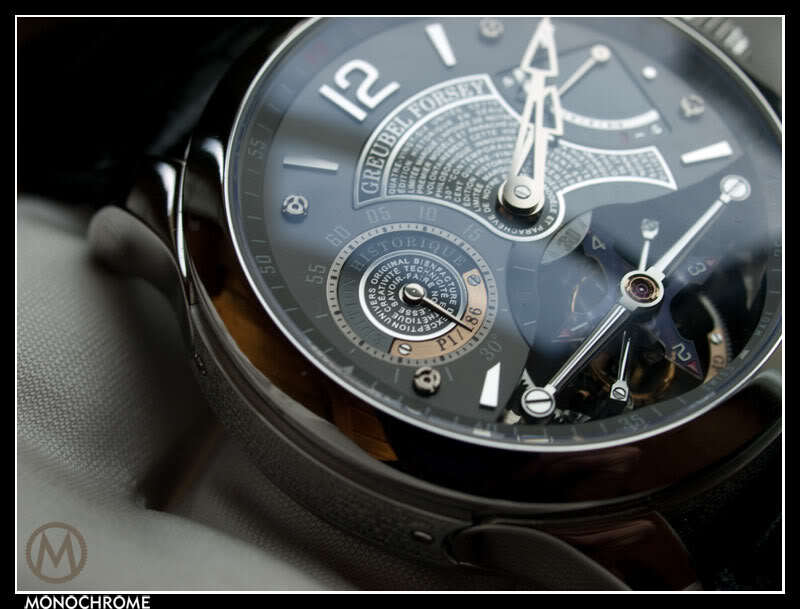 More information on the Greubel Forsey website here.